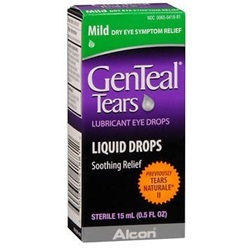 Genteal tears is sterile lubricating Hypromellose eye drops 0.3%, in a 15mL dropper bottle. 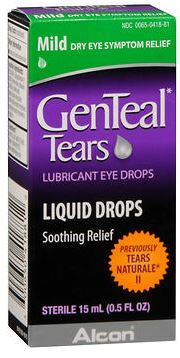 Mild dry eye symptom relief. Manufacturer: Alcon. NDC: 00065-0418-81. Comes as singles.